The funeral of Boney Maroney took place at the Huddersfield Crematorium on Monday 3rd September at 14.45 hours. There were so many people present that there was standing room only for some.The ceremony was conducted by Mr. Chris Berry – The Celebrant – and he gave a a most amusing and heartwarming account of some of Boney’s life. Afterwards there was a gathering at “The Allied” inn at Honley. 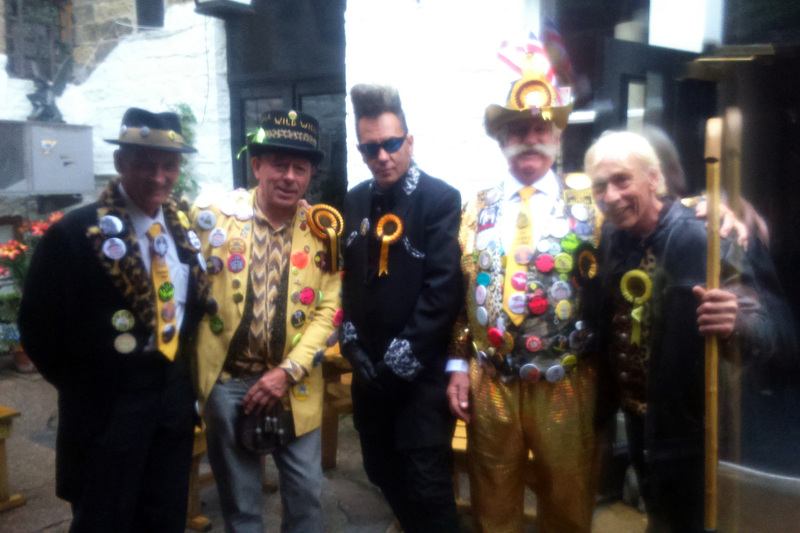 I would like to thank the two members of the Official Monster Raving Loony Party who took the trouble to come with me to the ceremony. Robert Stanton – aka “Professor Nabob”and Colin Jones aka – “Tiger – Earl of Llanfairpwll-gwyngyllgogerychwyrndrob-wllllantysiliogogogoch.” I flew over to England on Saturday 1st and went to Aldershot to meet Bob and then Colin who drove up from Wales. On saturday at 13.00 hours we convened in the “Imperial Standard” public house where one can purchase fine liquid refreshment for a pre – funeral wake in memory of Boney. 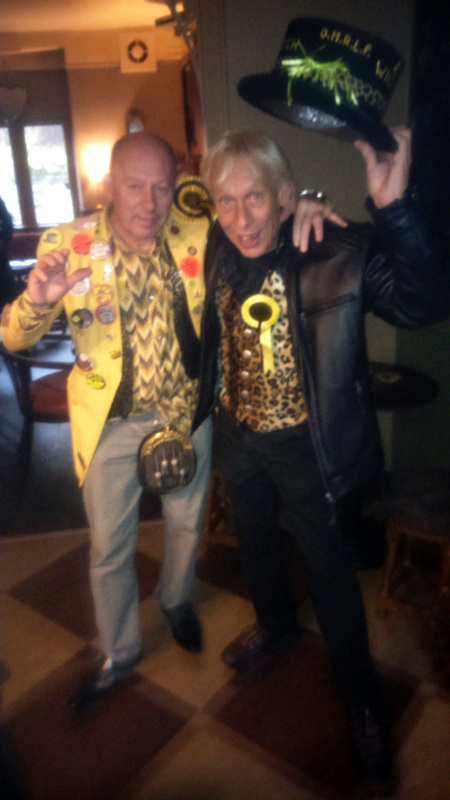 We were joined later by the Loony Boss Leader – Alan Hope and a splendid night was had by all I can tell you!!!! We drove up to Huddersfield on Sunday and then attended both the funeral and the gathering at Honley. It was a pleasure to see Stan – Melodie’s husband – again and Dave Savage – top dog of the Savages group. I’d also like to thank “Chinners” for providing some very special limited edition badges for the occasion. Thank you very much.